We are an award-winning utility-scale solar energy developer, operator and asset manager. We also design, engineer and construct distributed, retail and commercial solar plants. We have originated, developed and currently manage utility solar PV assets with a cumulative installed capacity of over 100 MWp, generating over 250 GWh per year. Our growing distributed solar portfolio comprises over 10 MWp of small-medium scale solar PV plants which have been designed and constructed in-house by our team of expert engineers. We provide comprehensive solar solutions to meet contemporary clean energy needs. Our roots in the energy sector date back farther than most in the region. As a division of the Arabia Group of Companies our energy sector heritage is decades in the making and a strong foundation for our modern day solar solutions. As part of the Arabia Group of Companies, we have deep roots in the regional energy sector and a secure business foundation. As a division of the Arabia Group of Companies, we are an integral forward looking mission of a existing regional business whose business operations span decades. Our market leadership has been acknowledged by local, regional and international organizations. Several of our key projects have achieved awards and nominations in recognition of best-in-class project management, cutting-edge technology and our contemporary approach to project development, implementation and operations. We are regional in focus, applying our energy and solar expertise to create the solutions to power a clean energy future in the Middle East. Our approach to the region’s clean energy future is holistic. We understand solar energy installations must operate at peak efficiency to reduce investor risk and maintain an environment of investor bankability. 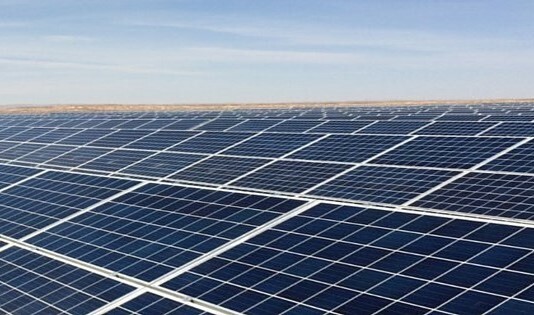 Our solar assets under management portfolio comprises over 100 MWp of installed capacity and we have been vetted and approved by the region’s leading project developers, lenders and contractors including the International Fund Corporation (IFC), a member of the World Bank, the European Bank for Reconstruction & Development (EBRD) and others.